In October 2017 I had a chance to attend an event dedicated to labor rights of disabled people. Inspired by the event I observed that UAE started series of steps to implement measures for people with special needs after joining world Convention by means of huge changes in the governmental sector giving more attention to these people and their future. Governmental and local authorities created an environment for this group of citizens with a separate budget regulation of public meaning and established special departments to support and present the rights for disables people such as Disabilities Affairs, Youth and Sports Authority; Sharjah City for Humanitarian Service; and the Dubai Club for the Disabled. Only specific group of people is determined as disabled under Article 26 of Federal Law No.29 of 2006 Concerning the Rights of People with Special Needs such as suffering from a temporary or permanent, full or partial deficiency or infirmity in physical, sensory, mental, communicational, educational or psychological abilities to an extent that limits the possibility of performing the ordinary requirements. The same law No.29 of 2006 provided for these people a scope of rights but not limited to educational rights, right to the workplace including public sector for UAE nationals, cultural, family and sports rights ext. These rights can be easily implemented through special organizations that provide preparatory work for future candidates and students depends on the professional and special skills. In Support of the Federal law No.29 of 2006 the Ruler of Dubai, issued Law No. 2 of 2014 “To protect the rights of people of determination in the emirate of Dubai” providing high-quality medical care and social services, boost public awareness and contribute to integrating people of determination into society and reaffirm their participation in social development. Talking about the legal rights of disabled people it’s important to classify the type of the disease and the level of capacity. Federal law No.29 of 2006 has lack of classification and might be amended in future to include this contribution. However, according to Personal Status Law No.28 of 2005 disables person has a right to have guardian and custodian to present his rights and provide further protection. The priority is given to eliminate the guardianship of persons with disabilities and support their independence rather than limit their functioning, widen their access to basic and social services, and ensure that their voices were heard in the development of laws and policies. In conclusion, it is grateful to observe that UAE plans to develop rules and regulation for the need of disabled people and keeps modifying legal perspectives and directions to integrate people with disabilities in the daily life and local environment. The latest initiative of the Dubai government is an overall goal to become the world’s most disabled-friendly cities, preparing new standards for buildings, parks, hospitals, infrastructure and transport by 2020. In the name of the social campaign The Year Of Giving 2017, declared by the UAE’s President His Highness Sheikh Khalifa bin Zayed Al Nahyan, MBH Advocates & Legal Consultants launch a social program ” The Lawyer Of Giving 2017″. The main goal is to enhance and spread the humanitarian values across our country, to make a difference in providing legal services and contribute to the advancement of our society by being kind and generous to the people while implementing laws. That was declared by our founder Mohammed Bani Hashem. – providing Pro Bono services in legal defense and representation in UAE Courts – every month during 2017 year. One of the most common violations in UAE labour relations is breaching contact by escape. What actions of employee or employer can cause this offense? 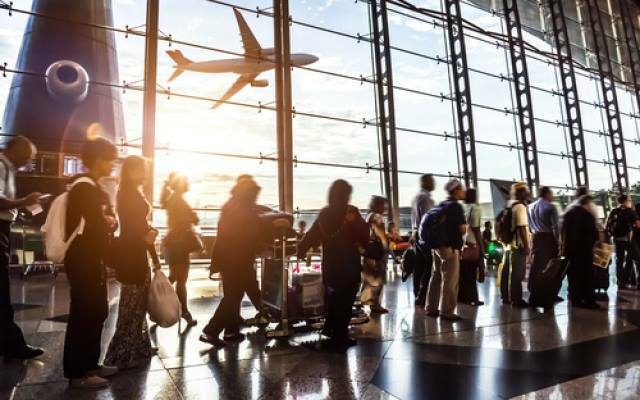 Misbehavior of employee where his absence at work is unknown for seven or more consecutive days, or he exited the country without any notification can be considered as an illegal act and determined as absconding. Hence, such employee will be treated as absconder (run-away). The employer has the right without prejudice to apply the report about this absence to the relevant authority. The Ministry of Labour can then cancel employment visa and impose a labour ban from working in all emirates of UAE. This legal motion is regulated by Ministerial Resolution No.731 of 2006 on Escape Report Procedures as issued by the Ministry of Labour and based on UAE Federal Law No. 8 of 1980. Filing an escape report is not only employer’s right, moreover, it is an obligation in default that will bear legal sequences. The time frame to report an absconding is 3 months term. As a restriction, the worker can get ban preventing him to stay and work in UAE. During the period when labour or immigration ban is in force, all new visa applications will be rejected (visit and tourist visas by General Directorate of Residency and Foreign Affairs GDRFA; employment permits – by the Ministry of Labour). Absconder can face preventive measure upon arrival and be arrested till the decision in his case. The legal procedure to consider absconding case is an investigation and further court judgment. Upon the judgment, the offender can be deported from the country with the following lifetime ban. 4) The category of the company will be changed to C.
An employer may cancel an absconding report if he gives an approval that there was an error in the absconding report. For example, the name included was wrong or the employee was hospitalized or imprisoned and was consequently absent from work without information. An employee may cancel an absconding report if he can prove his presence at work while he was reported absconding, or has a valid proof for his confinement to the hospital or jail during that period. Permit to get seek leave, medical report, confirmation of vacation can become a background to discharge absconding. Existence of dispute between parties and registered complaint in the labour authority can effect the decision on runaway report in favor of employee. How to find the right lawyer in the UAE? – Where to start (which Emirate)? – Which lawyer do I need in my particular situation (criminal, civil, family, labour)? – What to look for in a lawyer? (Price, quality, experience, nationality…). 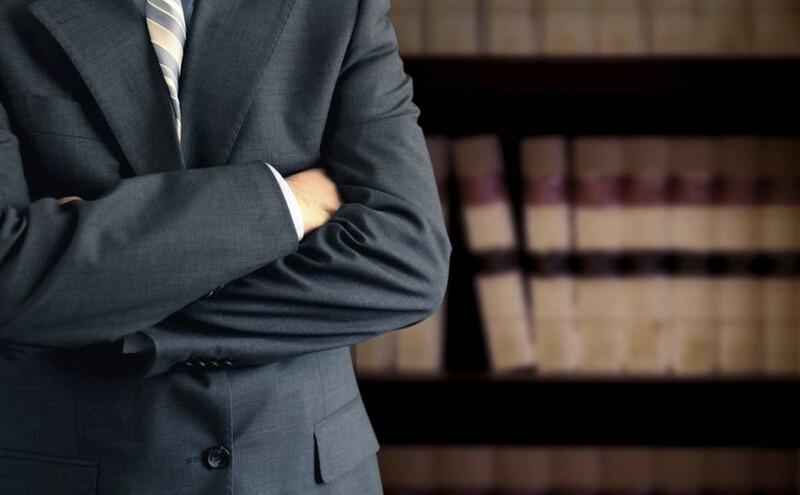 Finding the right lawyer to handle your matter is critical in saving the time and money, as well as achieving a favorable result. It is advised to talk to several different lawyers before choosing the right one. First of all, it is better to look for someone that you feel comfortable with, the same nationality or speaking the same language, who better understands you. You should foresee a long-term relationship that can facilitate your ongoing needs. Lawyers in the UAE do not necessarily have to be UAE nationals. All lawyers must be licensed to practice law in Federal courts and be under the supervision of an accredited law firm. – Do a thorough web search. Look online, check lawyer’s websites and forums, look everywhere you can. Attentively read all the testimonials you find from the real people. – Ask in your Embassy/Consulate to recommend you any trusted local lawyer. – Ask for references from your friends or colleagues who have had own experience with the certain law firms. – Get referrals from the UAE courts or local Legal Department personally or through surfing on relevant websites. – Make research and visit the nearest Law offices in your area. – Ask the right questions while meeting with every lawyer you visit. Once you have chosen a lawyer, ask to sign a legal fees agreement and make sure you understand exactly what you are agreeing to, how you will be billed, and how your retainer will work. You might be paying hourly or a flat fee. Find out what it covers exactly. Don’t be shy to ask questions. Do not hire a lawyer who will not give you a legal fees agreement. This is not negotiable. Be clear on what you expect, what the lawyer can do for you, and what the lawyer thinks it will cost. Lawyers cannot give exact estimates of the entire trial expenses, but they should be able to give you an idea. Office work hours during the Holy month of Ramadan are different, with an average two hours reduced from the daily job schedule, but there may be exceptions. Under the Labour Law, the working hours of all employees shall be reduced by two hours per day during the Holy month of Ramadan. This means that employees should only work 6 hours per day (as the statutory maximum working hours are 8 hours per day). Ramadan hours apply to all companies in the UAE proper, whether they are based onshore or in a free zone, as well as in the DIFC. Is it applicable for non-Muslims? UA Labour Law provides that working hours should be reduced by two hours per day and does not differentiate between fasting and non-fasting employees. Therefore, it is applicable to all employees irrespective of their religion or whether they are fasting or not. Is it violation if you forced to work extra hours? The authorities do conduct checks from time to time to ensure that companies are compliant with the Labour Law and employees are working Ramadan hours. If a company is found in breach of the Labour Law, the authorities have the discretion to penalise such company. The penalty is in the discretion of the authorities and may be imposed on a case by case basis. Will your salary be deducted for loss of hours? No, there should be no reduction in compensation as a result of a reduction in working hours. Employees should be paid at their normal rates as if they are working normal working hours. There are different laws that govern employment issues for employees in the UAE/Dubai proper (including free zones as they are subject to UAE Federal Law) and for employees in the Dubai International Financial Centre (DIFC, which have own labour law separate from the rest of the UAE). In the UAE, the UAE Federal Law No. 8 of 1980 as amended (the Labour Law) applies to all employees working in the UAE with a couple of exceptions (such as government employees, household servants etc.). Similarly, the DIFC Employment Law No. 4 of 2005 as amended (DIFC Employment Law) applies to employees working within the DIFC.